Led by world champion mountain biker Rebecca Rusch, the 2013 SRAM Gold Rusch Tour builds on momentum to drive more women to get on their bike and contribute to the sport and their personal wellness. KETCHUM, IDAHO – Rebecca Rusch, four-time Leadville Trail 100 Women’s Champion and three-time 24 Hour Solo Mountain Biking World Champion, is launching her third annual women-specific cycling tour this April at the Sea Otter Classic Ladies Lounge in Monterey, California. The SRAM Gold Rusch Tour will make subsequent stops at more than six key cycling events in Ontario, Idaho, and British Columbia before returning to California. The tour is a series of women’s-specific clinics and rides hosted in tandem with major races and bike festivals. These clinics will focus on riding techniques, fitness planning, equipment maintenance, and will feature one-on-one interaction with professional athletes from all cycling disciplines. A social connection from pro athlete to beginner rider is a key element in getting women of all ages and fitness levels outdoors and on their bicycles. Last year, Cyclocross Magazine was able to participate in the Gold Rusch Tour at Dirt Fest, and we’ll be catching up with Rusch again this year at Sea Otter. The Sea Otter Ladies Lounge at the Sea Otter Classic in Monterey, CA: April 18 – 21 – Drop by the SRAM booth and meet your favorite female pros. Ask questions, check out new gear and listen in on our mini-tech clinics. Rebecca and other pros will also host ride clinics and pump track sessions. 24 Hours of Summer Solstice in Bolton, ON, Canada: June 22 – 23 – Join Rebecca and SRAM/Specialized female athletes at North Americas largest 24-hour mountain bike festival. Rebecca and her team will be offering Specialized demo bikes and free ride clinics during the three-day mountain bike festival. You may also have the opportunity to join into one of the SRAM Gold Rusch Tour women’s teams for this event. Everyone is welcome at the Base Camp during the event for recovery drinks, race tips and high fives. Wheel Girls Mountain Bike Club in Sun Valley, ID: June 18 – July 23 – Rebecca and her local women’s mountain bike club will coach a 6-week riding camp specifically for teenage girls. 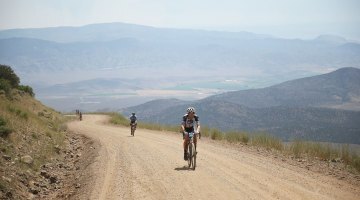 The classes will meet in June and July for weekly riding sessions on different trails in the Sun Valley area. The camp will focus on riding skills, trail etiquette, and volunteer trail work. Race Like Reba Ride Camp at the Ride Sun Valley Bike Festival in Sun Valley, ID: July 2 – 7 – By invite only, a few lucky female media representatives and some hand-selected amateur riders will meet Rebecca and SRAM pros for a personal tour of the world class riding in Sun Valley. 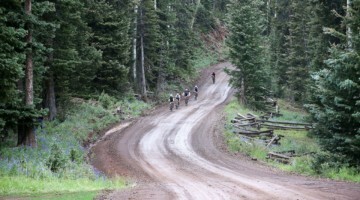 The camp coincides with USAC Marathon MTB National Championships in Sun Valley (July 5th-8th) to allow the attending media to cover both events. Camp participants will take part in the course for the Marathon MTB Nationals, pump track sessions, a fat tire crit, and Rusch’s personal favorite local rides while focusing on descending skills and attending nutrition/training seminars. Crankworx in Whistler, BC: August 9 – 18 – The biggest freeride festival in the world, Crankworx is a magnet for the world’s best riders. With a collection of some of the best trails and parks on the planet, Rebecca and SRAM/Specialized female pros will guest instruct and lead rides throughout the week. Viewing parties, gear giveaways, and tech tips are also be part of the agenda. Levi’s Gran Fondo Ladies Lounge and Media Camp in Santa Rosa, CA: September October 4 – 5 – Activities will include a pre-event social hour with complimentary bike fit and equipment check at NorCal Bike and ride tips from the pros. Rebecca and other female pros will offer a pre-ride preview of some of the toughest parts of the course. Post-event activities will include a SRAM/Specialized VIP reception for women and their guests with refreshments and recovery drinks.